Atlas Equator 2.0 (2018) review | What Hi-Fi? Perfect for budget or midrange systems in need of an upgrade (or older systems that could do with freshening up), the latest version of the Atlas Equator 2.0 speaker cable is a simple and affordable way to spruce up your hi-fi’s sound. For £7.25 per metre, you get a length of cable that’s nicely made: it’s sturdy and flexible enough to bend around tricky corners. Our review sample is terminated in Atlas’s proprietary Z banana plugs, but you can also get the speaker wires with spade connectors or keep them bare. The cable has a multi-core construction, consisting of a pair of identically matched conductors. Atlas uses oxygen free copper (OFC) conductors in the 2018 version of these speaker cables. The purity and amount of copper used has been increased from the previous Equator version that we reviewed in 2014, too. Atlas believes that less oxygen results in better sound quality, and while OFC conductors are claimed to improve conductivity, the increased purity of copper should result in a cleaner overall sound. With the Equator 2.0 inserted into our reference system, we play Into My Arms by Nick Cave And The Bad Seeds. The first impression we get is one of clarity. Our system sounds wonderfully clear and concise with the Atlas cables plugged in, with Cave’s voice sounding richly detailed, focused and direct. There’s a pleasingly full-bodied sound, piano notes clunk along with ample weight, and Cave’s mournful and expressive singing has plenty of gravitas. Switch to Michael Jackson’s Billie Jean, and the cables help our system deliver the funky beats with snappy timing and a good dose of enjoyable dynamics. In our review, we found that the previous Equator cable made our system sound a touch flat, but there’s no such lack of involvement or excitement here. As the tune bops merrily along, the edges of notes are neatly delivered, with a clean treble that has plenty of impact but still sounds smooth. Make sure you run the cable in for a night or two to get rid of some initial spikiness. But compared with more expensive speaker cables such as Chord Company’s Clearway (£10/m) and the AudioQuest Rocket 11 (£12.50/m), and the Atlas doesn’t quite reveal the same amount of drive or momentum. Still, the increase in clarity and punch when using the Atlas Equator 2.0 over budget alternatives should be lauded, especially at this relatively affordable price. 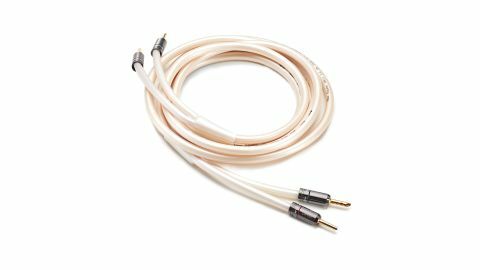 If you think your budget/midrange hi-fi system could do with a sonic spring clean, but not sure what needs upgrading (and don’t want to spend too much), plug these Atlas speaker cables in. You might find it’s just what your system needs.